What are the signs that the end is near? Personal Care: inability to do daily living tasks at all. Can't take a bath, brush hair or dress self without help. Eating: Along with not being able to feed themselves, they may have trouble with chewing and swallowing. They may not want to eat, and caregivers may be asked to consider a feeding tube. Speaking: Frequently there will be a severe decline in the ability to speak. Perhaps the person will speak a few words or sounds, or not produce recognizable speech at all. Naming: Often loses ability to know even familiar people or to recognize anyone by name. Mental State: A decline in mental functioning means that many of the most difficult psychological problems like hallucinations, paranoia, and aggressiveness will decline or disappear. Incontinence: In late stages, Alzheimer's individuals generally lose control of their urinary functioning. Soon afterward they will also be unable to control their bowels. 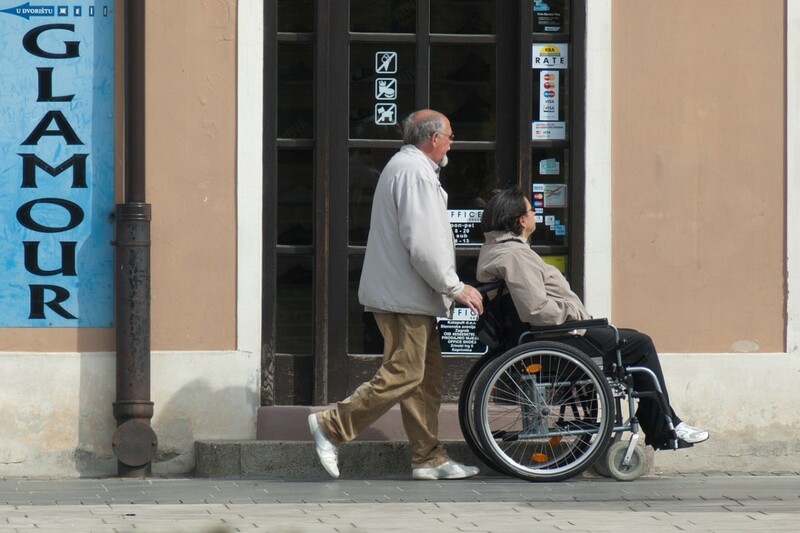 Movement: Although some people remain ambulatory, most will have gait disorder and frequently in the late stages they will be wheelchair or bed bound. Wandering and Restlessness: Any tendency to wander will be increased and the person may now lose their way even in their own house. They may not be able to find the way back from the bathroom to their bed. Weight Loss: Partly due to the inability to eat as well as process food, they may have their body weight decline, perhaps to even below 100 pounds. They may even be in the 70-80 pound range near death. Infections and Seizures: The decline in the brain and immune system leaves the person very vulnerable to other disorders and infections, particularly pneumonia because they often cannot clear out fluids from their lungs and inhale food. While physical demands increase, emotional demands can get easier during this final stage. In fact, if you have dealt with the care of a person who has been combative or difficult, as I did with both of my in-laws, it might be helpful to know that while Advanced Alzheimer's brings most people to a point of needing 24-hour care, it also brings a relief from some of the most troubling aspects of the intermediate stage: delusions, paranoia, aggression, and hallucinations. Having taken care of both of my husband's parents in their journey through Alzheimer's, I have great empathy for other caregivers. The most helpful advice I got at this stage was from our family doctor, who had walked his own father through this disease. He told me, "Things actually get easier once people with dementia deteriorate past understanding what they have lost." One of the most obvious signs that your loved one is moving into a later stage of the disease is that you may find them easier to manage. The intermediate stage of Alzheimer's is the most difficult. In the middle stages of the disease, many individuals have delusions, aggressive behavior, and anger towards the caregivers. However, when mental ability fails, these stressful behaviors diminish or even go away completely. We saw this dramatically in my father-in-law, Michael. In the intermediate stage, he was verbally abusive, aggressive and paranoid. For his safety and ours we had to move him to a nursing home and for a while, we couldn't even visit him often. 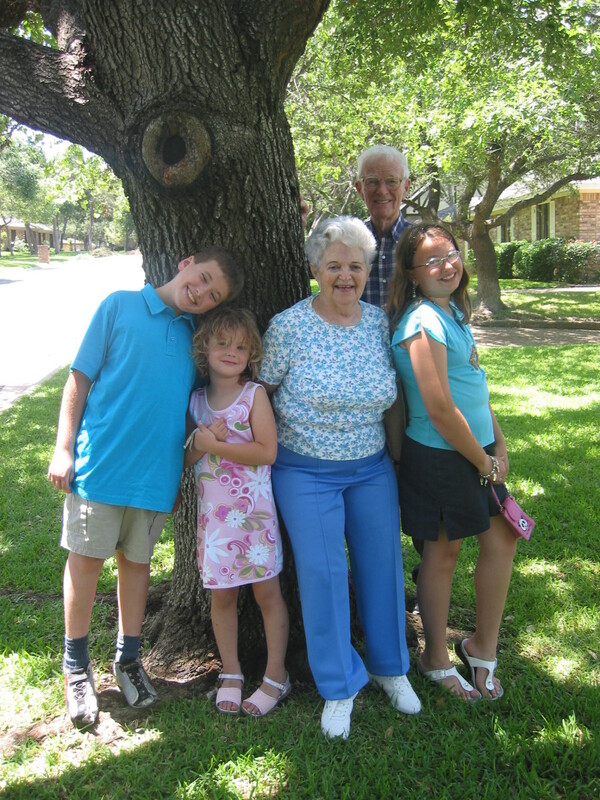 Much to our surprise, when Michael entered Advanced Alzheimer's, he completely changed. This man who had been tense, angry and frequently difficult even before his disease became docile, happy, and very cheerful. The nurses loved him and other visitors told us they knew he must have been a very kind man. To tell the truth, he had not. Yet we were so grateful for this period of time when we could have pleasant visits and good memories. Frequently a person enters the final stages of dementia after a traumatic event. That could be a move to a new location, a fall which requires hospitalization, or an illness. For my father-in-law, Michael, it was a series of falls and a urinary infection which left him hospitalized for several days. Before this event, he was walking, and though often aggressive, was able to carry on short conversations about real events and memories. After his hospital stay, Michael never left his bed. Though able to continue eating regular food, he became vaguer in conversation, frequently repeating platitudes rather than actually interacting with what we said. 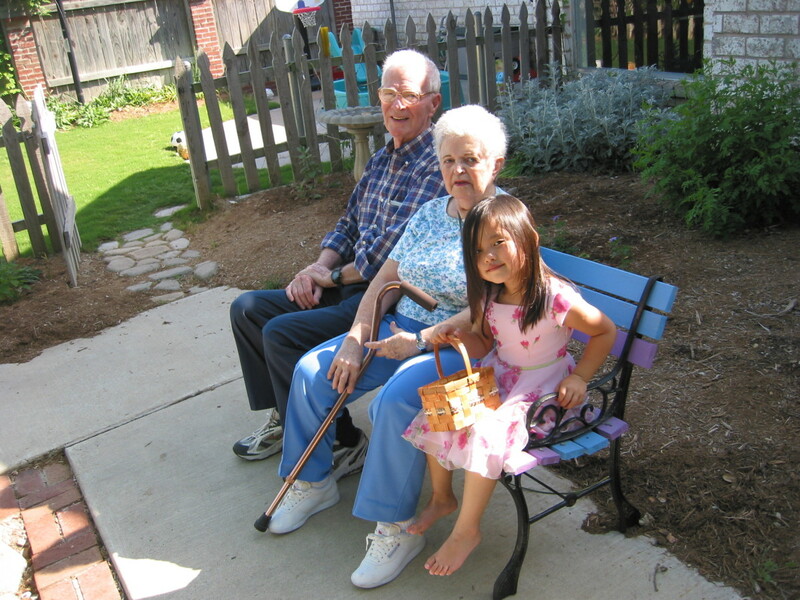 Largely as a result of increasing needs for personal care as well as more frequent medical problems, families at this stage often start thinking about moving their relative into professional care at a nursing home or other facility. However, unless the person is hospitalized, it often takes some time to find a bed for a patient. One of my purposes in writing this article is to help families to see the advanced stages early enough to gain the benefit of hospice and nursing home care that can reduce the great strain on caregivers during this last stage. Unfortunately, families often take too long to make the decision on the move. 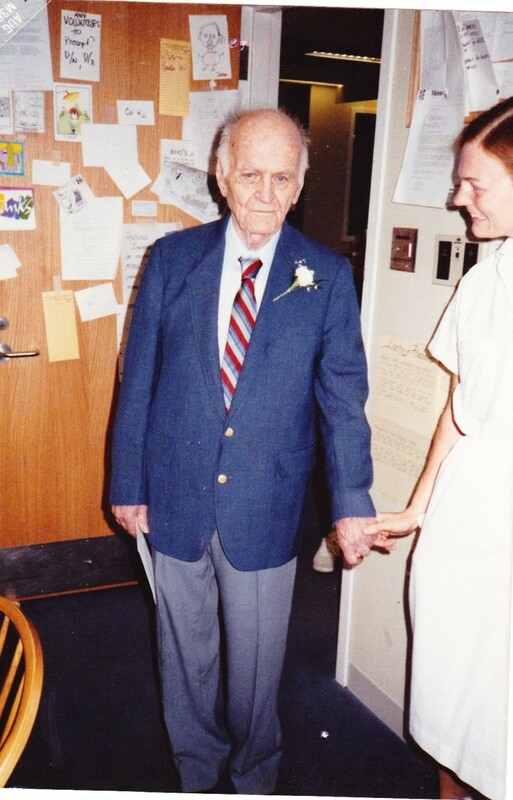 In my own family, three of my relatives were placed in nursing care in the last month of their lives. Faithful caregivers had broken down their own health in trying to take care of their loved one. By early recognition of the advanced stage of Alzheimer's, full-time help, whether in-home or at a care facility, can make sure the caregiver does not hurt their own health. Often dementia in an Alzheimer's patient seems to plateau for a while. One sign of the ending stages is a decline in the person's abilities. They may stop being able to go to the bathroom, or chew without being reminded, or won't want to get out of bed. Frequently, this signals the beginning of a more rapid decline in abilities and functioning. Unlike Michael, my mother-in-law, Nicole, seemed to slip into the later stages more gradually. After her husband's death, she would call me daily to ask about him for about 4 months. Every day I had to tell her again that he had passed away, and again go through her grief about it. Then, much to my relief, she stopped calling me daily. Soon afterward, she started having more falls and eventually stopped walking, talking and eating. It is important to understand that each person's dementia expresses differently. 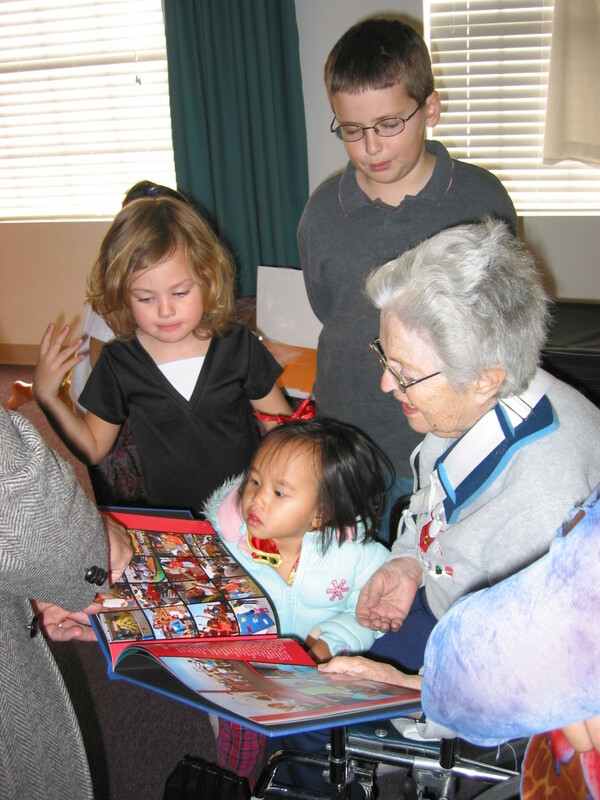 Before dealing with my in-laws, I had a picture in my mind of what a person with advanced Alzheimer's was like through my visits to the nursing home to carol at Christmas. I pictured someone sitting in a wheelchair staring vacantly ahead. Therefore, when my very intelligent and well-educated in-laws continued to be able to converse intelligently with us even though they were unable to remember things or do personal care, I assumed they were still in the earlier stage of Alzheimer's. As a matter of fact, my father-in-law was able to make a joke with the hospice nurse just a couple of minutes before he passed away. Therefore, it is very important to communicate with doctors, nurses and hospice about the stage they feel your loved one is in so that you can make care decisions. As you near the end, it may be important to have a "no resuscitation" order prepared at the nursing care facility or with the hospital. It is also important to talk with the whole family about what you will and will not do to prolong life. Frequently, a person with deepening dementia will stop eating and drinking. Giving them a feeding tube can prolong their life, but can also create medical problems if their body systems are shutting down. Moreover, some measures to prolong life may be painful. To our dismay, the paperwork for my mother-in-law had not been changed as she entered late-stage Alzheimer's, and as a result, we were faced with some agonizing decisions and her last days of life were prolonged in great misery. Very dehydrated, she was rushed to the hospital. We were informed she would pass away in that night. Instead, because they re-hydrated her at the hospital, she got better and they urged us to give her a feeding tube. We agonized over this decision, feeling pressured by one of the doctors to insert the tube, even though we knew Nicole would not have wanted it. Finally, we were blessed by a long talk with the Nurse Practitioner who had been regularly seeing Nicole, along with the advice of my cousin, who has worked for years in hospice. Both of these women left the decision to us but gave us the freedom to follow our gut instinct to do what we felt was right for Nicole, and what she would have chosen if she could. We did not give her the feeding tube but instead enrolled her in hospice. Get Hospice Care Early: Hospice care is palliative care meant to ease the dying process. Hospice nurses and volunteers are available to help both the patient and the caregivers with practical, emotional and spiritual support. 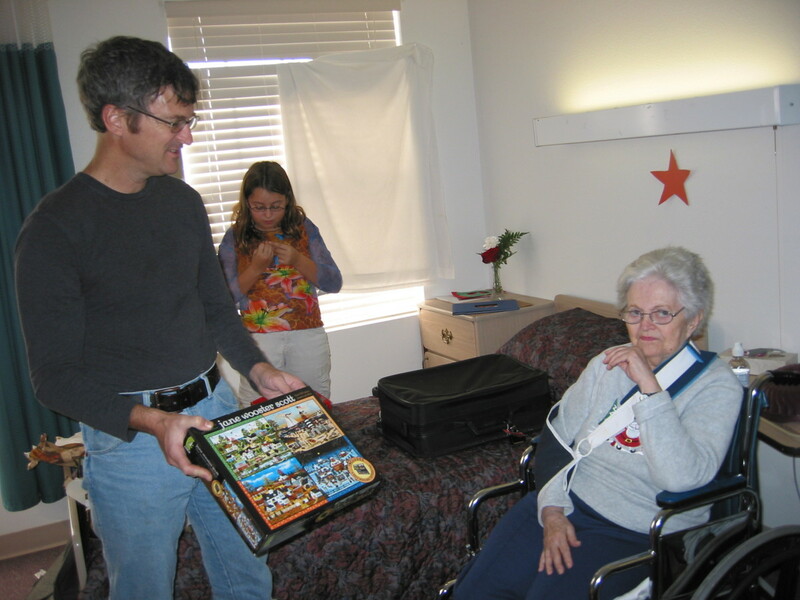 Best of all, Medicare generally pays for hospice care whether it is given to a person at home or in a care facility. Generally, hospice care is available for much longer than people take advantage of it. Speak to the doctor to see if your loved one would qualify to get hospice services. 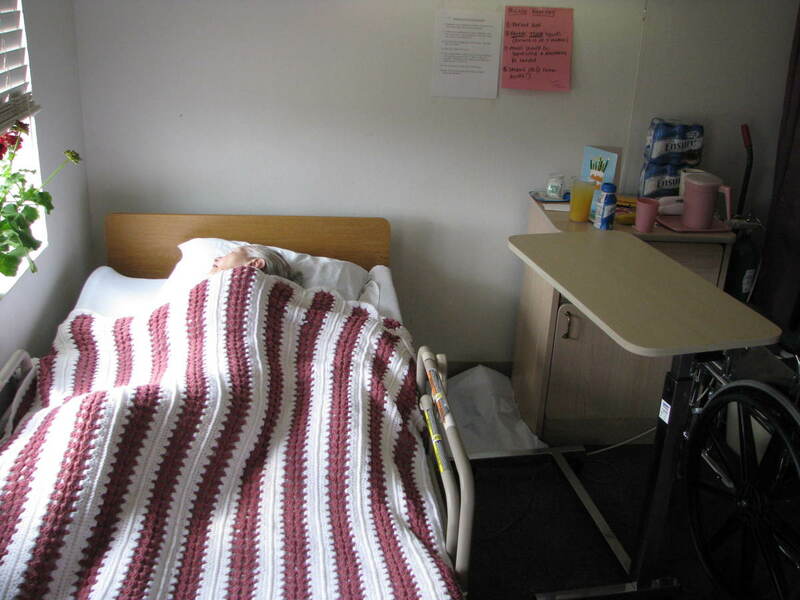 Hospice Care Focuses on Comfort: The hospice nurses helped us to encourage Nicole to eat and drink, but also gave us permission to allow Nicole to refuse food and water as her body could not process it. It is natural in the process of dying for a person to refuse food and water. As the digestive process begins to shut down, the body cannot process nourishment and it makes the person uncomfortable. By making the decision to have an Alzheimer's individual moved to hospice, you allow the care for that person to move towards making them as comfortable as possible as they travel towards death. Understand the End of Caregiving is Difficult: After the traumatic relationship I'd had with caregiving my in-laws, I really expected to mostly just feel relieved after their death. In fact, I was stunned at the depth of my emotions and grieving. I did not grieve that they were gone because I knew they had been more than ready to go. However, I grieved deeply for many of the aspects of their lives and our relationship that I wished had gone differently. Moreover, both my husband and I spent many hours just thinking through my in-law's lives and going through their papers and re-evaluating our own thoughts and feelings about our relationship. Make Funeral Preparations: Going through photos, videos and favorite songs can be a good way of preparing emotionally for the end of your loved one's life. Hospice workers are very helpful in guiding you to know when the end is near. Preparing for the funeral before death can help you make these arrangements together with other family members and can also help you make clearer decisions. Make Plans for the Future: Caregiving is physically exhausting and emotionally consuming. 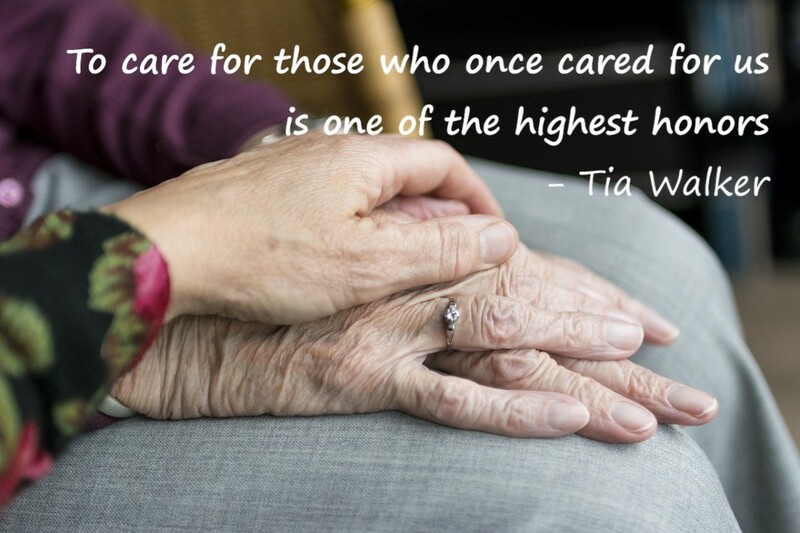 In the last few months of your loved one's life, the caregiving may be all you can think about. I was rather upset when my husband proposed that we begin thinking about some home renovations we had been putting off during the five years of caring for his parents. Yet, when we started that process soon after his mother's death, I began to see the wisdom of having a plan for my days which kept me busy. Having something to do was an important part of my own healing from the stress of caregiving. Make Time for Grieving: Whether your relationship with the person with dementia has been loving or difficult, prepare for an extended time of grieving. Give yourself time and space to think about things peacefully. I was very grateful that our home renovation project gave me many hours to think and reflect while painting, plastering or cleaning. Find Someone to Talk with: While you will need time to grieve alone and think, it is also important not to be too isolated. Talking out your feelings to a sympathetic ear can be a great relief. Sometimes it helps to join a group of other caregivers or to get professional help from hospice volunteers, a pastor or counselor. However, you may just find the best help is a group of friends who may not know about caregiving but are willing to love you and listen. For me, it was a wonderful group of young moms that I met in a Mothers of Preschoolers and Toddlers group at church. They listened, encouraged, and loved me through all of the emotions of this end of Alzheimer's caregiving journey. 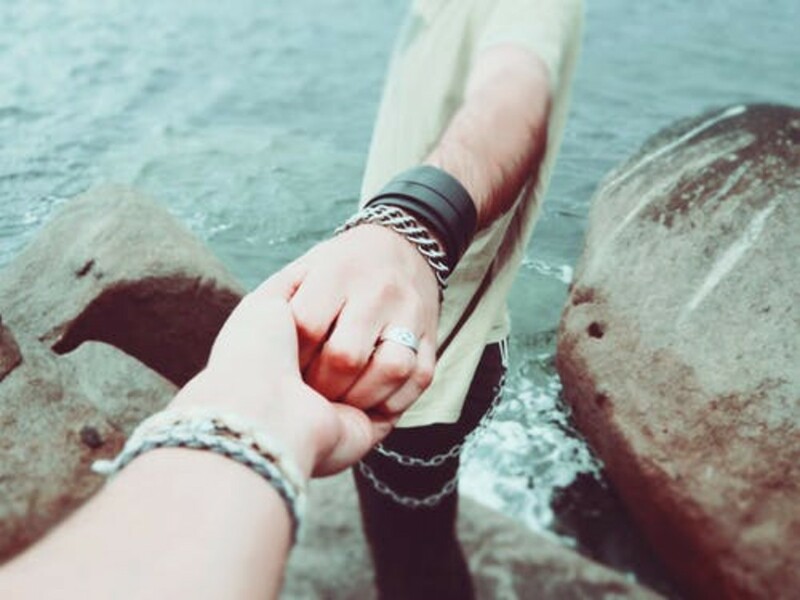 As Teepa Snow discusses in her excellent video, "Letting Go," the caregiver needs to help the person they love to end their journey by being willing to say goodbye. Giving the person permission to let go and leave can be difficult, and heartbreaking. 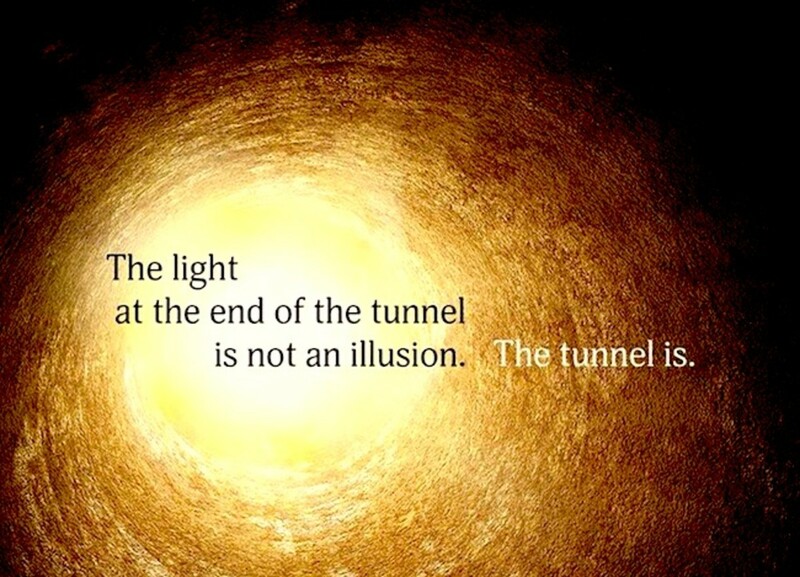 Yet, it can also lead to personal peace as you allow the person to choose to end their suffering. How does Alzheimer's Touch You? How do you know the onset of death is near? Generally, when death near, the person will be sleeping a lot, they may stop eating and drinking (because their internal organs are shutting down) and they may not be responsive to their caregivers. Frequently, they will be bedridden and incontinent. Often, they may have stopped speaking for some time. However, my father-in-law woke up and told his caregiver a joke just moments before he passed away. Sometimes, right before the end, the person will rally some strength for seeing relatives one last time, and may seem to be getting better. That is why it is really helpful to get help from Hospice services to help you prepare for and understand the end stages of your loved one's life. As soon as you sense your loved one with Alzheimer's is in an advanced stage, I suggest that you contact hospice services. Hospice services vary from city to city but they are generally free, or covered by insurance. The goal of hospice services is to help individuals and families to prepare for the end of life. Because Alzheimer's affects each person's brain differently, it can be hard to know when your relative is nearing the end but a person who has had a great deal of experience and training can see the signs and will not only help you to be prepared, but, even more importantly, be able to make sure your loved one gets every possible help to make this process peaceful, comfortable and painless. Hospice services generally can call a doctor at any time and get a quick response and access to pain medicine or other things that might be needed. Additionally, they can provide people to relieve relatives to sleep or rest. I have the advanced or middle stage, hiding it well for now at age of 53. How long do I have? It seems a slow steady progression with periods of not knowing anything or anyone. If you are 53 you may not have Alzheimer's. Your memory loss might be caused by some other medical condition and I would urge you to see a doctor and tell them the truth. While some people do get early age Alzheimer's, you probably wouldn't be able to write a note on a computer if you were in the middle or late stages. Many people who have memory problems can be helped and I hope you will go to your doctor and see if they can find out what is causing this. Will hospice give me advice if he is in the last stages of Alzheimer's? Hospice will tell you when your loved one is very near death, but I don't know if they will tell you if your loved one is in the last stage of Alzheimer's (which can last for a while). However, if you are using Hospice, they will help guide you during this time and help you know if any changes you see are something that is expected as the person declines, or if it is something you should investigate to see if there is something you can do to help the person. Your doctor will be the best person to access which stage of Alzheimer's your relative is in, but you may need to specifically ask them. Some doctors don't want to share information that they think will be sad for a patient's caregivers. Additionally, no doctor can tell how long any stage will last in a particular person, but they can give you the general guidelines for most people. My mother has Alzheimer's that is severe. At age 93 she keeps eyes closed 24/7, can't speak, and can't walk. She is also difficult to rouse. Is she near death? I offer you my greatest empathy. I'm sure that caring for your mother right now is very difficult. Each Alzheimer's patient is different. My father-in-law joked with a nurse just five minutes before he passed away peacefully. Your description of your mother suggests that she is in Advanced Alzheimer's. Your best source of help for knowing exactly when her passing is near is healthcare workers that know her. I hope you have contacted hospice. They will guide you. Of course, you also should be talking to her doctor. Both of my parents are presently in a nursing home with Alzheimer's. My Dad recently had a pretty bad UTI and has gone through some dramatic changes. His weight has dropped to 134 pounds; he sleeps most of the time. We can barely get him to talk to us anymore. I am very concerned and have asked the facility to have hospice come and evaluate him. What are your thoughts? I am glad that you are having your father evaluated by hospice. It seems to me that his symptoms are similar to someone with advanced Alzheimer's and hospice will be able to give you help and encouragement as you guide him through this time in his life. Blessings on you! You are in a difficult life journey, but you will be very glad that you have done this for your parents. My husband with Alzheimer's doesn't want to get out of bed, does this mean the end? If his refusal to get out of bed is a new symptom, I think it would be a good idea to have him evaluated by a medical professional. They may be able to help. If you have not yet called in hospice to help you, that might be an excellent idea. The hospice nurses know all about the symptoms of advanced Alzheimer's, dementia and other diseases and they can tell you exactly what to expect. My thoughts and prayers will be with you as you face this difficult situation. How do I handle my mother screaming to call the gas company because she thinks poison is coming through the furnace? 1. Divert her attention to something else. 2. Try to get them to go outside and do something else like go for a walk, "Why don't we go outside (or get in the car for a drive) while I make that phone call." 3. Make a "fake call" to the gas company (pretend to call or get a trusted friend who will take calls from you and pretend to talk to your mother). If you have a trusted friend, who will talk with your mother and listen to her and then say "I'll take care of that right away" that might resolve the problem. Just wanted to thank you for your explanations and suggestions. Your words have helped me to cope and care so much more! Will I survive this awful disease Alzheimer's? My mom has stopped eating and drinking. She is sleeping a lot and seems to be in a lot of pain. She was just released from the hospital for a UTI but seems to be getting worse. Is this a sign of the end stage? I would strongly suggest that you call to talk to her physician or discuss this with hospice. If she is diagnosed as terminally ill and you are not using hospice services, I'd strongly suggest you call to arrange them. I think the most important thing is to try to manage a person's pain. Many illnesses can cause someone to stop eating or feel in pain, but if this is not how she was before going to the hospital it is important to find out what is causing the change. My prayers for you as you travel this difficult caregiving road. Dear Jen, you have my complete sympathy and prayers as you deal with all of these feelings and sense of helplessness. While I cannot offer any specific answers to your grandmother's situation, I will offer what I do know and some suggestions. On average, Alzheimer's patients pass away about 8 years after diagnosis, so your grandmother's advanced stage is normal for people who have had the disease this long. Hospice should have some information they can give you about the last stages of the disease. We were given a pamphlet which explained the stages people go through in their last days. I think you should ask to see if they have any information they can give to you. The main thing that I learned from that information which was helpful to me is that as a person is dying, the systems in their body start shutting down. This made sense to me that the body does not just suddenly stop all at once, but the different organ systems start failing gradually. In my mother-in-law's case, that meant she stopped eating. The hospice nurse told me that could be because her digestive system could not process food very well, so she ate very little. Of course, you want to be sure there is not some other reason for this, but when all other medical reasons are ruled out and a person is in the last stages of Alzheimer's it can be normal for them not to eat or drink much (as your grandmother is doing). You would need to check with the hospice workers, but it actually might be painful for her to eat more than she is doing now. I do not know for sure, but I would assume that the variation in her blood pressure readings could be for a similar reason. It is also very normal for a person at this stage to be "totally dependent on others." I would suggest that you might want to schedule a time to talk with the hospice people who are caring for her in order to get their perspective. I also think it might be helpful for you to schedule some specific time to visit and tell your grandmother everything you want to tell her before she passes away. Even if she cannot respond, she may very well hear you and you will have the peace of knowing you have spoken to her. Additionally, there is a wonderful book by a former hospice worker that I would recommend. My aunt gave it to my mother and I read it when my mother got cancer. I happened to see it last week at Barnes and Noble. It is by Trudy Harris and is called "Glimpses of Heaven: True Stories of Hope and Peace at the End of Life's Journey." Finally, I hope you will read my other articles on this topic including the one about Caregivers and steps to preventing Alzheimer's. Hi Ester--I am so sorry to hear this about your mother. Alzheimer's is a very difficult disease. I am sure that you have many feelings about this situation. My mother have Alzheimer. I think she at last stage. Problem we have get her out of the bed. Hi Lisa--I am so very sorry to hear that you feel all alone in this process. I was just with some friends tonight who felt the very same way when they were doing caregiving. I assure you that there are many other people out there who are experiencing the same feelings of being isolated and alone. You might be able to get someone to talk to if you call up churches or look for a support group for caregivers. Please know you are not alone and that people will care if you let them know you need help. Dear Ziyena-Thank you for your comments. You have my sympathy and prayers during this time. Hi Daniella! Thank you so very much for sharing about your situation. I know your words will help other people who are also facing these situations. I will pray for you to have creative ideas to help and for you and your family to have peace inside, knowing you are doing what you can. Your heart of love for her is the most important thing. The best advice I can give to you is the hardest thing I had to learn. It is that no matter what you do, you may not really be able to make your grandmother completely happy; however, the fact that you are trying and love her is of great, great value. She sees your love, your parents and grandparents see your love and so does God and other people. That helps everyone to be more at peace. Practically, the best advice I can give you is to be patient as she repeats herself and wants things she can't have or do. Her brain isn't working right and so it goes back and has to repeat itself over and over. It can't remember. Being patient and willing to do the same things over and over, or answer the question over and over is the kindest thing you can do. Also, it is being loving to let her express her emotions, whether that is sadness or anything else. I think it helps to remember that she is becoming more like a toddler. If you've spent any time with a 2-3 year old, you will know they often want to do things that they can't do, and have very extreme emotions. I read a book once that helped me a lot. It said that the emotions of a toddler (or Alzheimer's patient) run hot and cold, not warm. They don't have any regulation to their emotions, so your grandmother can't hold back when she feels something. I would also suggest that you make sure you ask your parents and grandfather about their ideas for helping her. You might see if there is a daycare nearby that she could go to. We have these where I live. One last thing that sometimes helps is to keep a regular schedule and to not make a lot of changes in a room or environment. That can help people with memory loss to keep their orientation. I do have some other articles about how to care for people and you might want to check those out. Blessings and prayers for you. This articule helped me with my grandmother. I am 15 years old and I am trying to help my parents and grandfather care for her. It can be diffuicult to manage her sometimes as she only speaks spanish, as she is from Peru, I am able to converse with her, but I think she realizes I am young and doesn't listen to me. I have been alone with her for the most 4 hours as my parents had to go to work and my grandfather will leave us in the house at times to have his break and go get blood tests and medical things like that. She is at a plateau. And has been for quite a few months saying she wants to leave the house and go walk, and she will keep repeating it. She doesn't recognize me, so it doesn't really help when we are out walking ans she stops, dead in her tracks, and starts crying, because to her I am a stranger, and she doesn't understand why she is with me. I try to keep her occupied by talking wiht her, but it doesn't really help. At night she will wake up and come to my room, asking who I am. I will answer and take her back to her room with my grandfather to go back to sleep. She will up again and open the front door and try to leave, but I always wake up to the sound of the door opening and coax her back inside by telling her that her son inside the house. Or at times she will go to the living room and sit down in the middle of the night and I will hear somethings move around and thats when I would get up from bed, I would greet her and ask what she was doing and she would respond that she was waiting for her brother to pick her up to go back to her house in Peru, when we are in Canada. She hasn't had anything big happen to her yet, like a fall or something like that. She is slowly become into incontent. I just feel heartbroken for my mother as she is really trying her best for her. I was hoping that maybe you could give me some tips to make my grandmother more comfortable. Dearest Sandra--I want you to know that you have my deepest sympathy, respect and my prayers. You are showing the ultimate love in caring for your husband so very much. That anger is so very common of any Alzheimer's person in the middle to later stages. I think part of it is that they don't want something, but also that they feel so frustrated. All of the things you are doing are important, and I certainly don't say you need to give up, but please get some help so that you have the strength to do what you want and need to do. 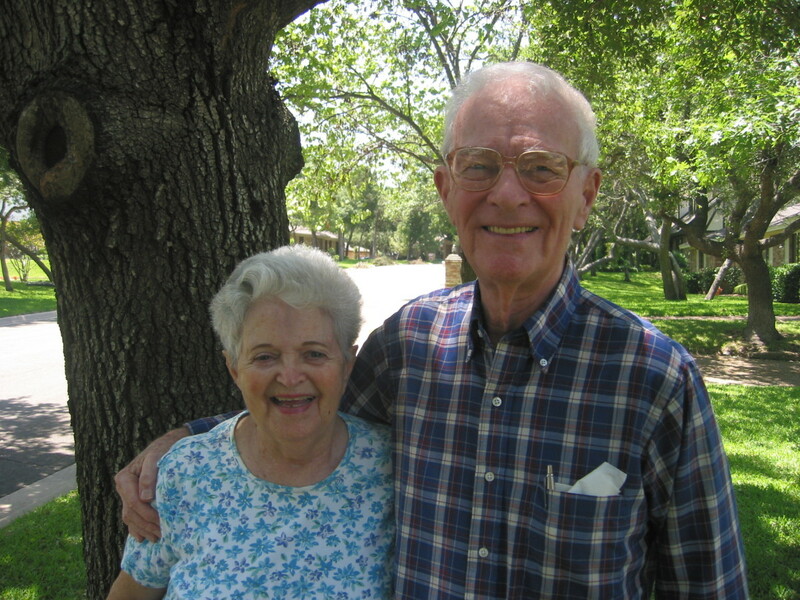 As soon as you are able, be sure to get hospice care for your husband. Ask the doctor to tell you when that is possible. It is usually completely free and should give you some relief. If you can, see if other people can come in to give you a break. A friend? Someone from church? A neighbor? A relative? Often, there might be some agencies that can help you so that you don't hurt yourself and get some time off. Bless you dear! I am the wife and caregiver of a career Army Warrant Officer who has Alzheimer's and has had two strokes. We will have been married for 60 years in March. I listened carefully to your words about care and emotional support, but there is something I am having a very difficult time with. I just can't give up. I urge him to not sleep so much and to eat better. I walk him around the house and yard thinking it will preserve his muscle strength, which he hates. I insist on showers and shaving, most of which I have to do for him. He is totally incontinent and gets really angry when I have to change his underwear. He seems to resist everything I think I need to do for him. I just don't know where I am going wrong. Nothing seems to help him. Dear Jacey--I am so very, very sorry for your loss. One thing I have learned is that there is no single way that Alzheimer's affects people. Since she is so young, your sister must have early onset, which is the most difficult disease to deal with, I think. My mother got ill with cancer in about the same timeframe that you are talking about for your sister. She passed away just two months ago. It was so very sudden and we thought she would have much more time. I can certainly empathize with your deep loss. I will pray for you to have peace. As a sibling , affecting me at two percent is definitely inaccurate. At the age of sixty she went quickly from the start of noticing to early onset to last stage within four months. She was my best friend and we did everything together. We had so much in common through our lives, from our marriages to our loss of spouses in the same year. for her life decisions. I miss her so much. She doesn't recognize any of us. She is at a plateau, walking all the time, but not able to do anything for herself. Hi Brianna--I am so glad that this was helpful to you. 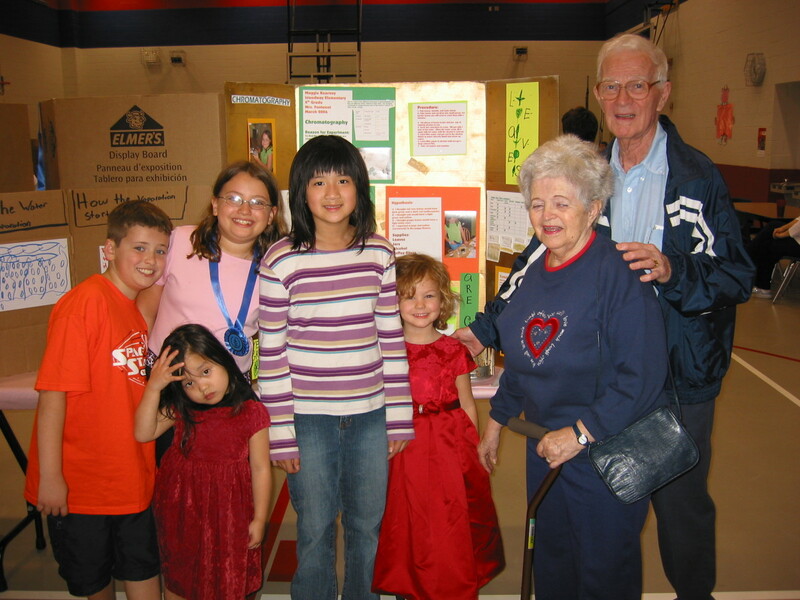 Thank you for being one of the people who helps Alzheimer's patients in these last stages. It isn't always easy and we were so very grateful for the patience and kindness of the people who took care of my in-laws when we could no longer take care of all their needs ourselves. This was very helpful to me in learning to understand fully the stages of Alzheimer's. I am 18 years old and work at a nursing home where most of the patients I work with have this disease. Dear Ron--You have my deepest sympathy for your situation and my prayers for patience, endurance and peace. I wrote this piece because I found so little information to help us. The hospice team was the most helpful. Now there is more information available to help understand when the end is near and that does give the caregivers a chance to plan emotionally and physically. However, nothing can really make the daily work easier except for knowing that you are doing the right thing before God. When my in-laws passed away, I was greatly comforted by the fact that we knew we had done everything that was best (to the best of our ability and knowledge) even though they often were dissatisfied. I'm glad you point out that your wife does have mobility. My father-in-law joked with a nurse just a few minutes before he died. He continued to be able to talk and interact with some social appropriateness even though he couldn't remember very much. So each person's brain deterioration is different and I think that caregivers need to know that some abilities may be retained until the end. Many prayers for you today. Thanks Peter--you are right that I am encouraged at the recent research. Since both of my husband's parents had this disease and I was responsible for caring for them much of the time, it does scare me a bit to think that he might be vulnerable to getting Alzheimer's also. The cost for caring for people with Alzheimer's is very high, not only in money for medical help, but in the cost of emotional care that families need to provide. Excellent, well written and informative article which is a great help for those dealing with this prion protein disease. We are starting to become close to finding a cure but for many thousands this cannot come soon enough. Ms. Dora, You will have my prayers as you go through this season of your life. I wrote the series of articles on Alzheimer's because I wished someone had given me this information. It can be very difficult and confusing to know what to expect. Blessings to you. Virginia, your article is very helpful. I'm a caregiver for my mother who is moving toward the advanced stage. Thanks for the heads up on what to expect. Thanks for including Bruce and Jan's story on the video. Dear Jackie--I am so very sorry to hear your story. We only survived the struggle with my in-laws because we did have help from others. Yet we really did not get good information along the way. That is what has caused me to start researching more in depth now so I can write more in-depth information for others. My thoughts and prayers are with you as your resolve this in your mind. I took care of my mom with Alzheimer's and it was a nightmare for me and her. I could get no help from no one and knew nothing about special Alzheimer's places and she was so abused and mistreated in her final years. I tried my best to find out all I could but I was not prepared and with my Mom being dead two years now I am over-coming and warning people but it is really hard to accept how my sweet mother died. Helena--thank you so much for sharing your story. I did not get to see my grandmother or my aunt before their deaths and I've felt rather guilty that for some reason my aunt remembered me better than people she saw more often. I think it is because I have five children like she did. This was such a tough Hub to write because Alzheimer's touches so deep inside. Thank you for your comments. My paternal grandmother suffered with Alzheimer's and was placed in a nursing home soon after diagnosis. She left her home one evening in the middle of winter in her nightgown looking for my grandfather who had passed away 12 years earlier. The Sheriff found her walking down Main Street in the wee hours of the morning with no coat, just her nightgown. We were lucky that he found her and she didn't freeze to death. Her sister, my great-aunt had it too. I live in another state so I didn't get to spend as much time with her as I would have liked to and they say that's the reason why she always knew who I was, because she didn't see me on a regular basis. You have written such a beautiful hub that explains it so well. It has literally touched my heart because it hits so close to home.